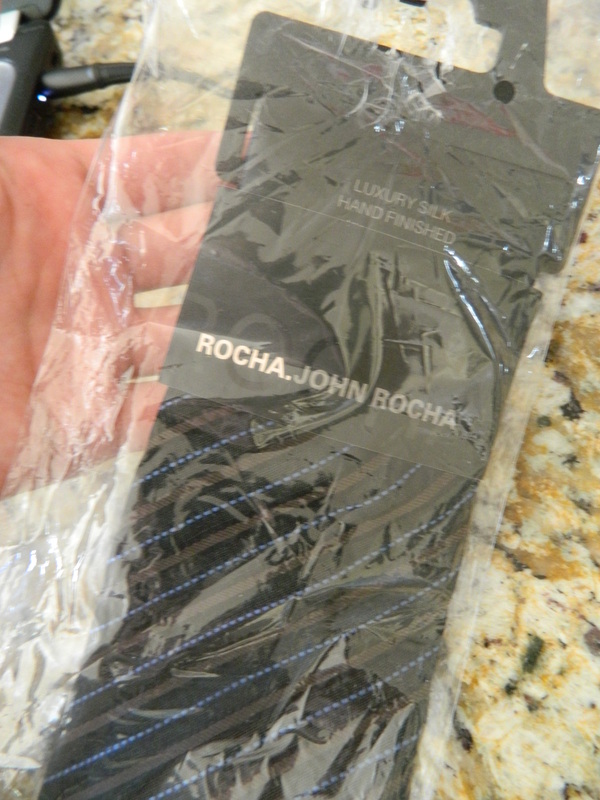 No sooner had I published my latest rant about scalpers and hoarders snatching up all 8 Rocha ties than I came across a brand new eBay auction for more BNWT Rocha John Rocha ties! And even cheaper this time, at an ultra affordable £7! I picked one up immediately, and by the end of the day all 5 ties had been sold (I checked – this time they all sold to different buyers). It took a little while for the tie to arrive, as it had to be shipped from the UK, but after arriving today I must say I’m quite pleased with my luck! 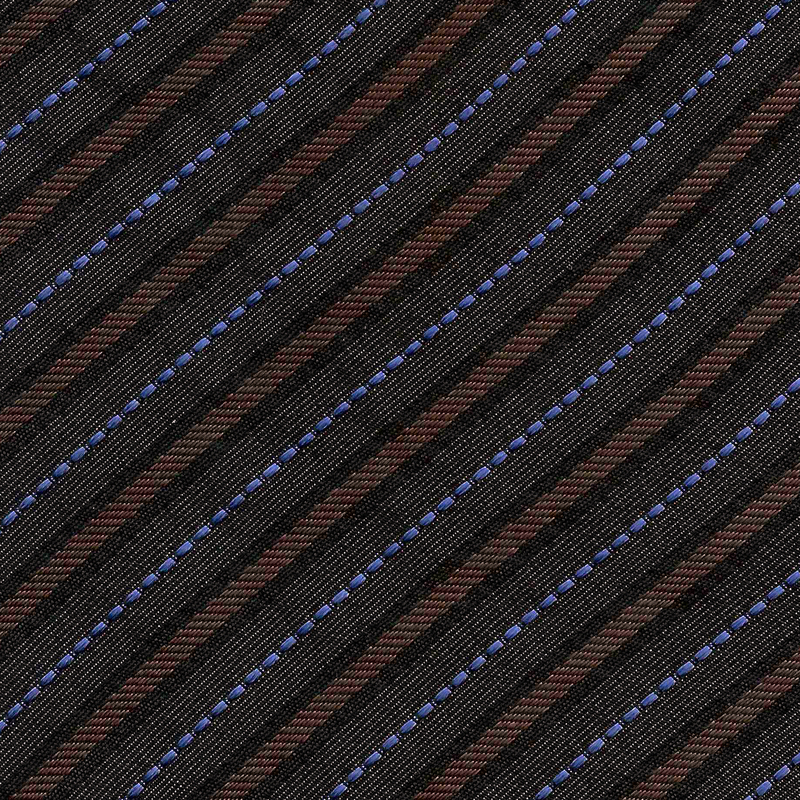 I’m pretty sure I received the actual tie in the display photo for the auction, judging by the notable damage to the plastic near the top of the tie, which is kinda cool. be the focal point of the tie. The width of the tie is very nice and even though it was never used onscreen I think it compliments the brown suit very nicely. I don’t know how much I’ll be cosplaying with my Rocha, because it isn’t “screen accurate,” but I’ll certainly treasure it as a collector’s piece and as a nice tie to wear in everyday situations! Maybe I’ll take it to smaller cons where I don’t want to chance losing my more expensive and exclusive pieces. Alex is a writer, actor, tailor, and professional loudmouth. He has no professional or celebrity endorsements, though he did once meet Conan O'Brien while dressed as the Tenth Doctor. He's just a guy who needs a healthy outlet for his internalized rage once in a while. This entry was posted in Uncategorized and tagged ebay, rocha, tennant ties, tenth doctor. Bookmark the permalink.